Have you ever visited a place and instantly fell in love with the scenery, attractions, and the people? For some, this is Kansas City. 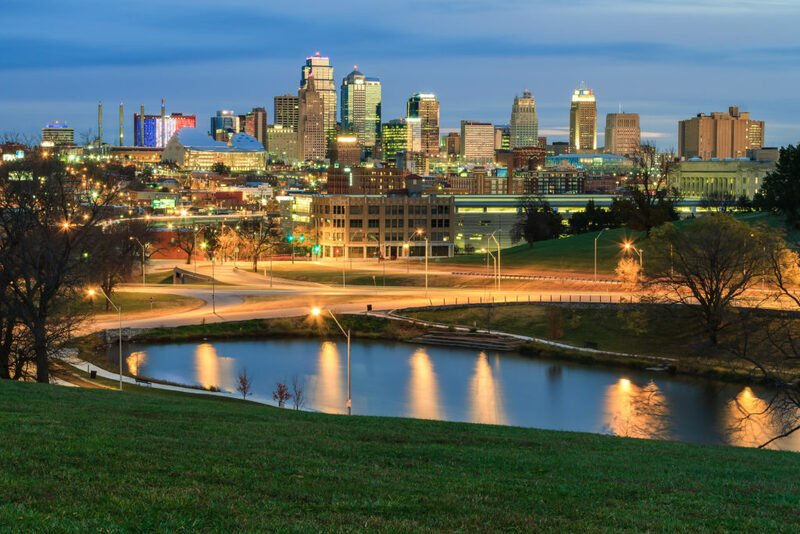 Kansas City is known for its barbecue, jazz, and farmland. Kansas City is actually quite unique, because it sits on the border between Missouri and Kansas. However, when most people think of Kansas City, they associate it with Missouri. The city is home to nearly half a million people. What makes Kansas City so special? Isn’t it just like any other Midwestern city? Here, you will find plenty of opportunities to shop, dine, and enjoy the outdoors, all at a low cost of living. In addition, the city is even home to the world’s tallest water slide. After one visit, you are sure to be hooked. If you are planning a vacation or move to Kansas City, contact National Dispatch to book car shipping services. Since you will likely want to take your car with you anyway, shipping your car could save you a lot of time, energy, and stress. Learn more about Missouri Car Shipping Services. Why Is Car Shipping The Better Option? 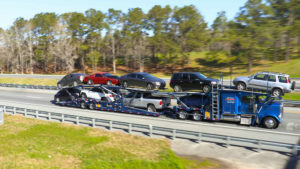 Car shipping is not just for those moving to a new home. We also ship cars for a wide range of customers including military personnel, car dealerships, construction teams, vacationers, corporations, and more. At National Dispatch, we aim to provide you with maximum flexibility on shipping dates. This is why we offer three shipping options to avoid any conflicts with your budget and schedule. Many people choose to ship their car, rather than drive, because it is safer, easier, and faster than driving. Driving to your destination involves many hours in the car. This can be exhausting. It is much easier to have a professional haul your car for you. It also prevents vehicle wear and tear, along with unnecessary mileage. This is especially important for owners of classic cars, where depreciation is a real concern. Book a date for pickup and delivery. Prepare the car for shipping. Car is loaded and shipped to its destination. If you like historic neighborhoods filled with beautiful old homes, then Waldo and Brookside might be the neighborhoods for you. They are also conveniently located close to many great shops, restaurants, and parks. If you prefer something with a different vibe that has been updated, then you might want to check out downtown, Westside, or River Market. If you are concerned about your children getting a top-notch education, don’t be. There are a number of schools and universities in the area that have received excellent ratings. What is the weather like in Kansas City? During the summer, the temperatures are usually in the 80s and 90s. The chilliest days of the year are in January, when the thermometer may not even read above freezing. Snow is not uncommon. However, it not typical for a snowstorm, which dumps inches of snow on the ground, to occur every year. When packing, make sure you bring your winter clothes to keep you warm during the colder months of the year. One of the primary reasons why people move is for a new position or to look for new work. Forbes ranked Kansas City number five on their list for “Cities Adding The Most High-Paid Jobs”, falling behind Baltimore, Boston, Seattle, and Washington, D.C. Therefore, if you choose to move to the city, you do not have to worry about finding a job that pays well. In addition, most people find that there average commute to work is under thirty minutes. This is a very reasonable amount of time. Are you moving because of a job or to look for new employment? Read our Corporate Relocation Guide. National World War I Museum and Memorial – This is the second oldest museum dedicated to the preservation of this war memorabilia. If you are a history-lover, you are sure to love this look back through time. It’s fun for all ages. Kauffman Stadium – Also called “The K”, this stadium is where Major League Baseball fans come to watch the Royals play. Kansas City Zoo – What would a city be without a zoo? The zoo has over 1,700 different animals, including the African Elephant, Porcupine, Lion, American Bald Eagle, and much more. It’s fun for the whole family, with special events held throughout the year. Arabia Steamboat Museum – This is another favorite for history-lovers. This museum showcases the story, adventures, and cargo of Arabia, the treasured steamboat. By taking a trip to the museum, you will gain a glimpse into frontier life. Do you need to ship a car to or from Kansas City? National Dispatch is a nationwide car shipping company with a company-owned fleet. Request a free, car shipping quote using our online quote form. No personal information is need, just fill out four simple fields of information. Put in the following information: vehicle make, vehicle model, pickup location, and vehicle location. To speak with one of our auto transport representatives, call us at 800-321-2051. Feel free to chat with us online.